Fall is a beautiful time of year, but if you choose to have your big day in the Rockies then you know you are at mother nature's will. 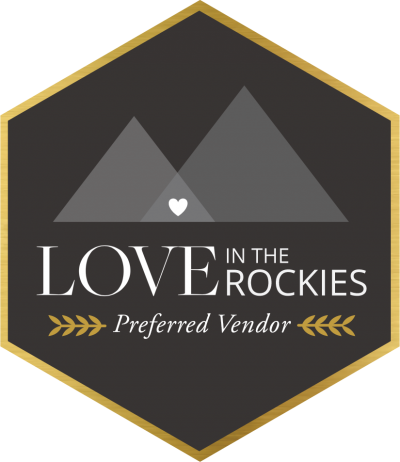 It could be sunny in the morning and snowing in the afternoon, so we recommend every Rocky Mountain bride have something to throw over her shoulders. Bomber jackets have made a comeback these past couple seasons in the Fashion world, and Bridal fashion is no exception. From Kaviar Gauche to Otaduy, from traditional ivory satin to embellished lace. You can certainly throw one of these over your shoulders to keep warm and look great. Denim doesn't always have to be blue. Like our other jacket options, you can always tone it down or amp it up with some colour or embellishments. A personal favorite is from Oscar De Larenta. 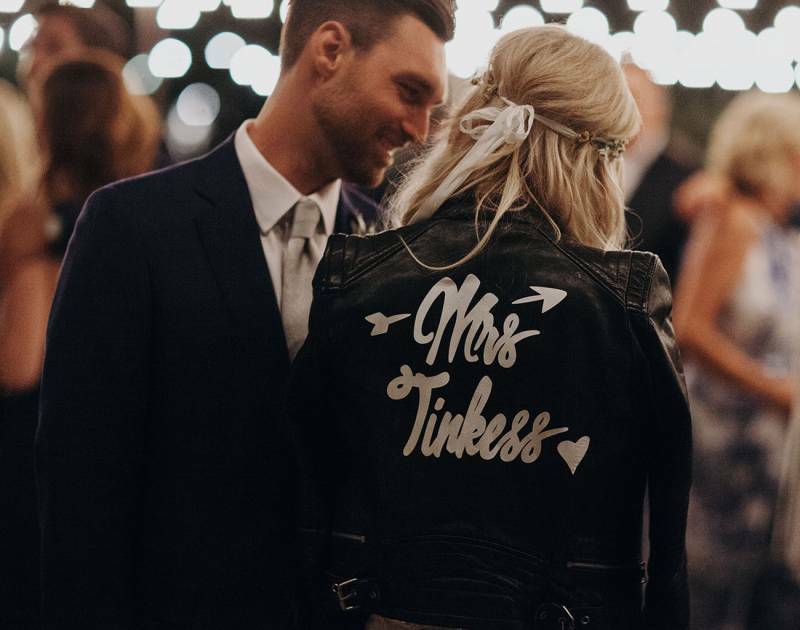 A leather jacket can add some serious "cool" to you wedding day look. But if black is too harsh for you then you can go with ivory, pink or even grey. You can also make it a little more personal, with matching him and her "Just Married" details on the back. Or, add some warmth by layering it with a fur stole.